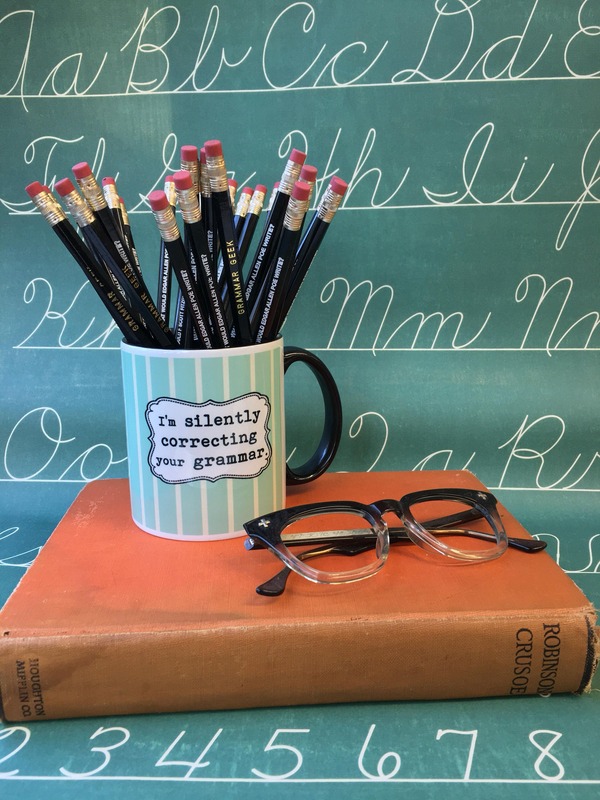 Grammar Pencils inspired by our many other fun grammar themed products; greeting cards, coffee mugs and notebooks! 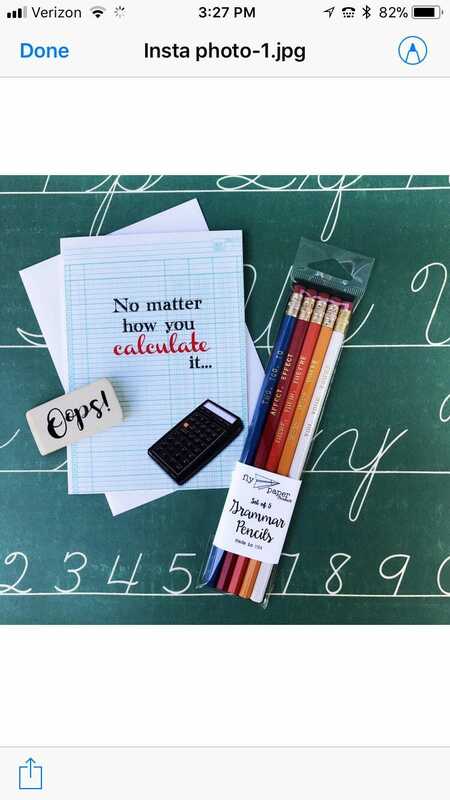 You will receive a set of 5 different Grammar Pencils in your pack. Two, too, to/ Affect, Effect / There, their, they're / We're, were, where / You, your, You're!